I expected the place to be really touristy but was pleasantly surprised to find it free of crowds thieves with shifty eyes. What a relief! 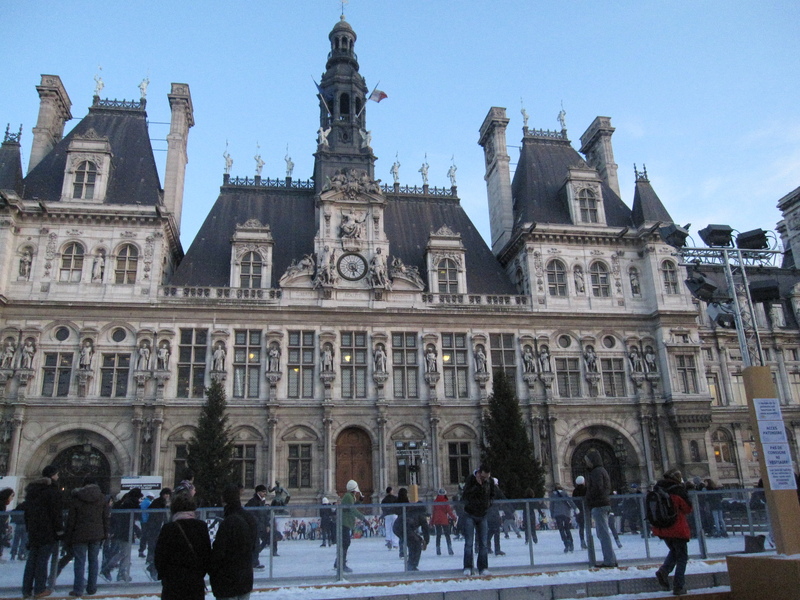 We took a metro to Hotel de Ville, crossed the river Seine to the place where the Notre Dame is. 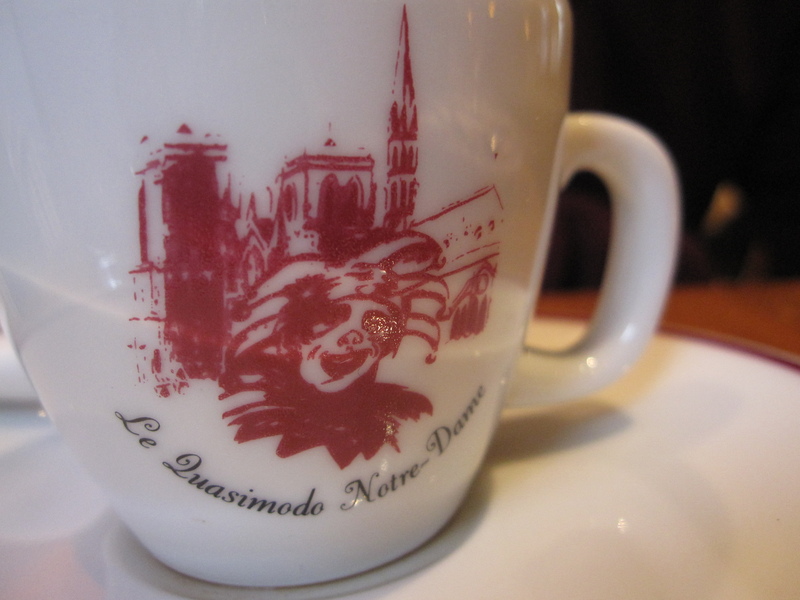 Le Quasimodo Notre Dame was really an unexpected hidden gem. How did we find it? Using our foodie instincts 😀 When you see people swarming in and out of the place, it usually means the food is pretty good. Fortunately, we managed to snag a better seat next to the window after awhile. All the cafes and bistros have alfresco dining outside which is perfect for people watching whilst sipping a cup of coffee. But it was too cold in december! The beautifully caramelised onions soaked all their goodness into the rich golden brown broth. 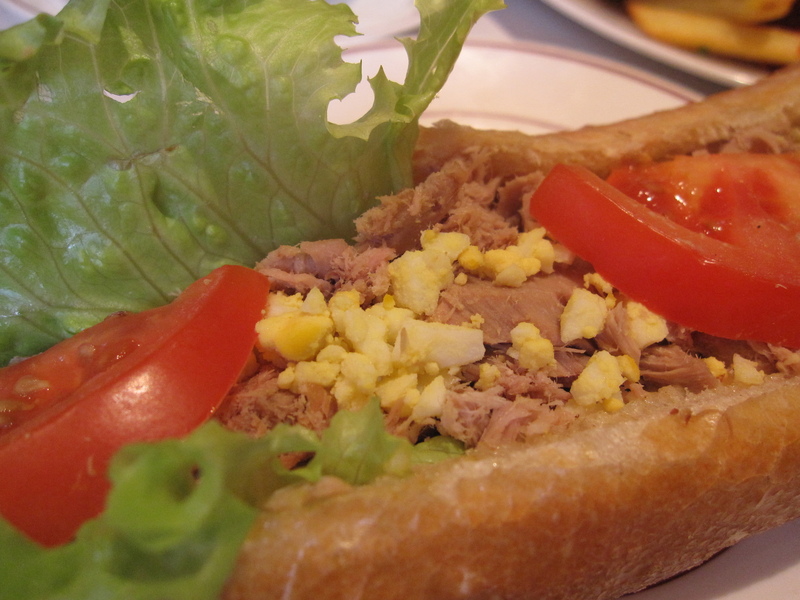 Pieces of baguette were drenched in soup and covered with melted cheese. 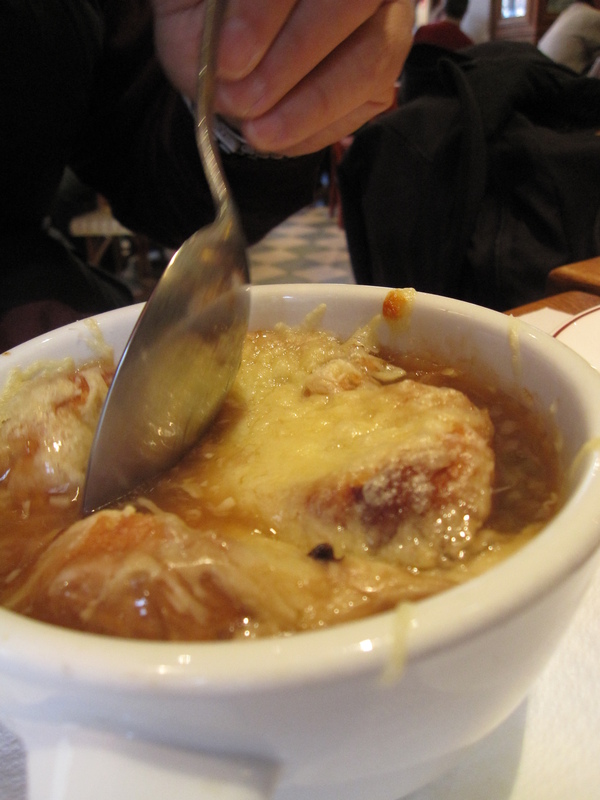 Now this is what french onion soup is all about! 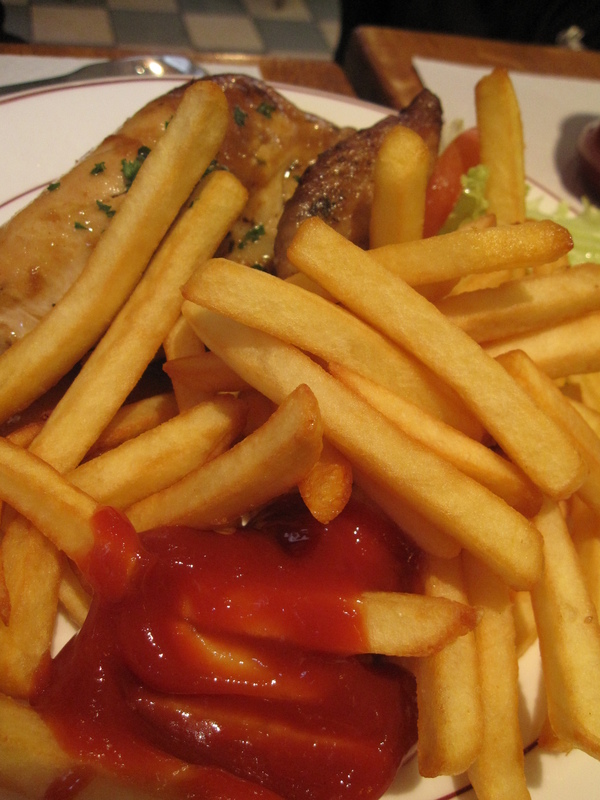 Dad had oven-baked chicken with fries. He commented that the chicken was really tender and the fried were crispy on the outside and soft on the inside. Despite the large portion, he finished it too! Mum had spaghetti bolognese which once again came in a gigantic portion with lots and lots of grated cheese on top. While simple, she enjoyed it very much and finished it as well. 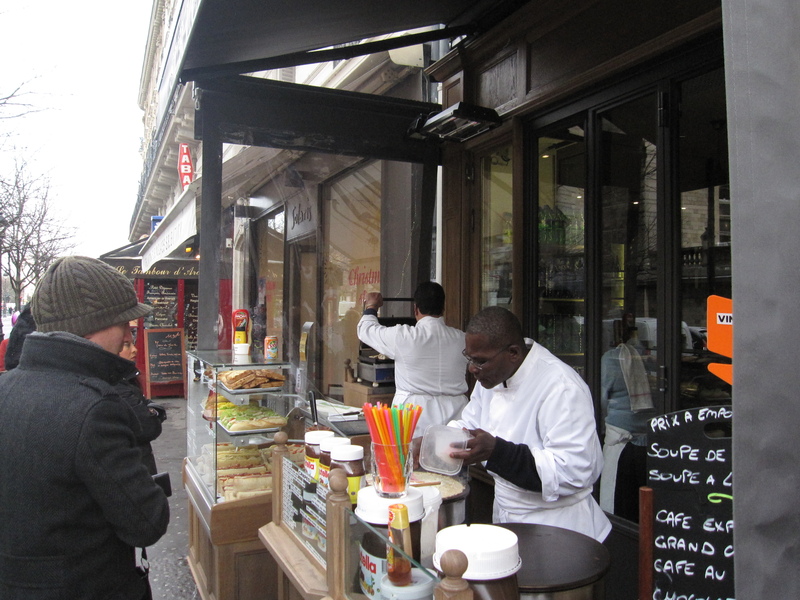 When we were outside, we saw a lot of stands selling crepes. 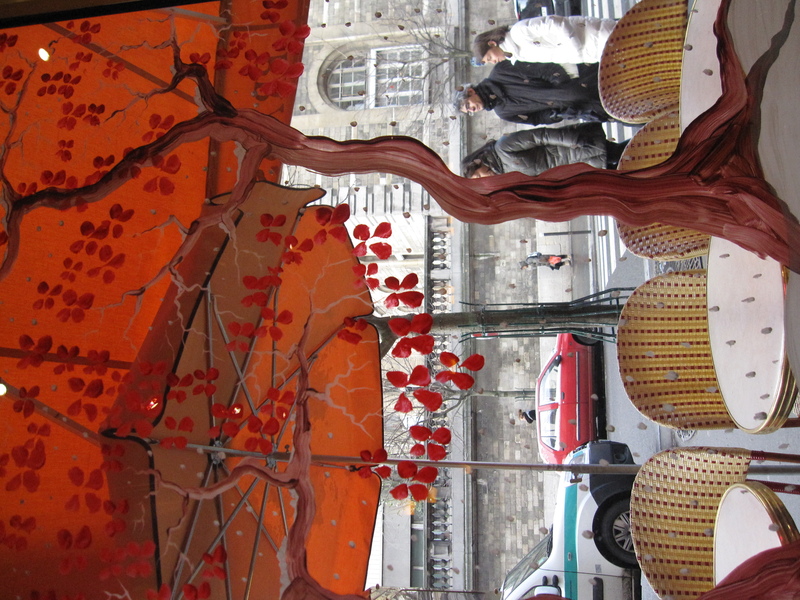 Here you can order crepes too which are freshly made in their stands outside. 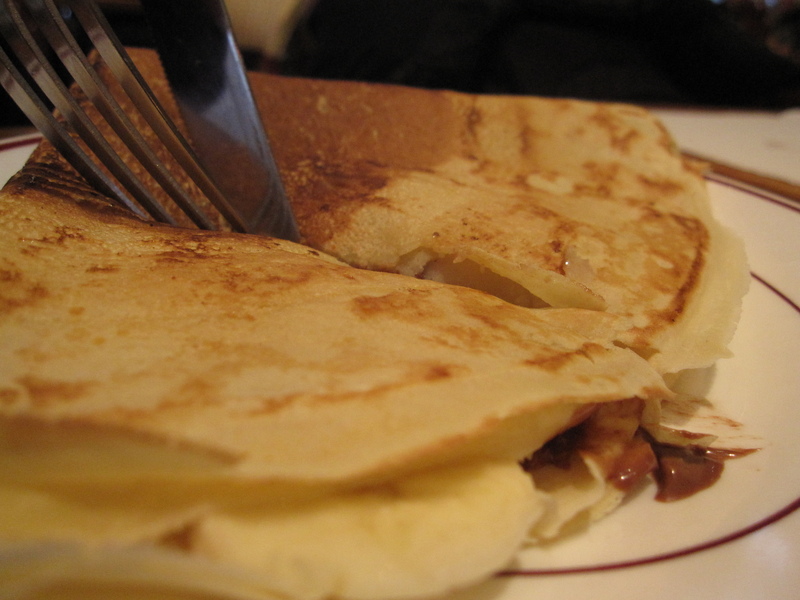 However, since the weather was very cold, our banana and nutella crepe came in lukewarm and by the time we sliced it up, it was already cold. The nutella spread inside was also very sparse unlike the version we had in la nonna at namly (the last time I went la nonna already took this off their menu). Perhaps the crepe suzette would have been a wiser choice. The lone waitress serving everyone bustled between tables carrying all the delicious food whilst joking with diners on the way. 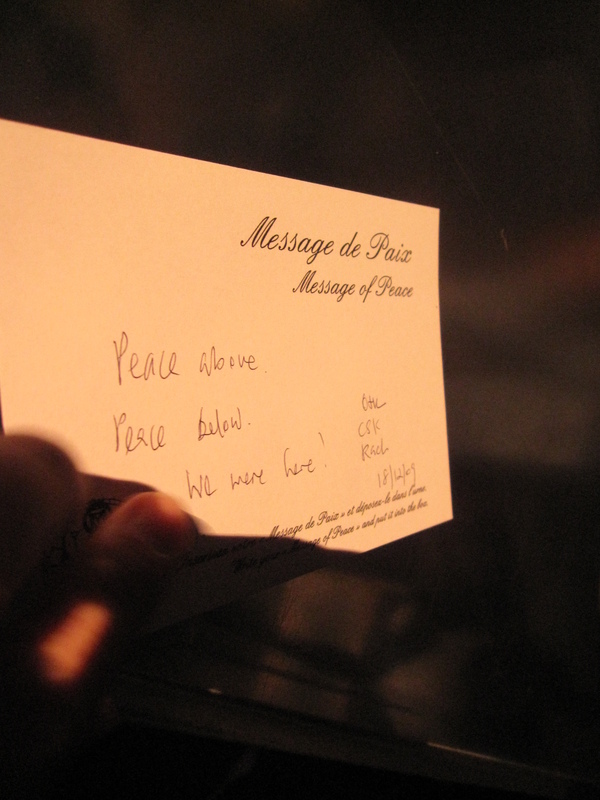 Although she didn’t speak much english, she patiently deciphered our needs and gave us recommendations from the menu. 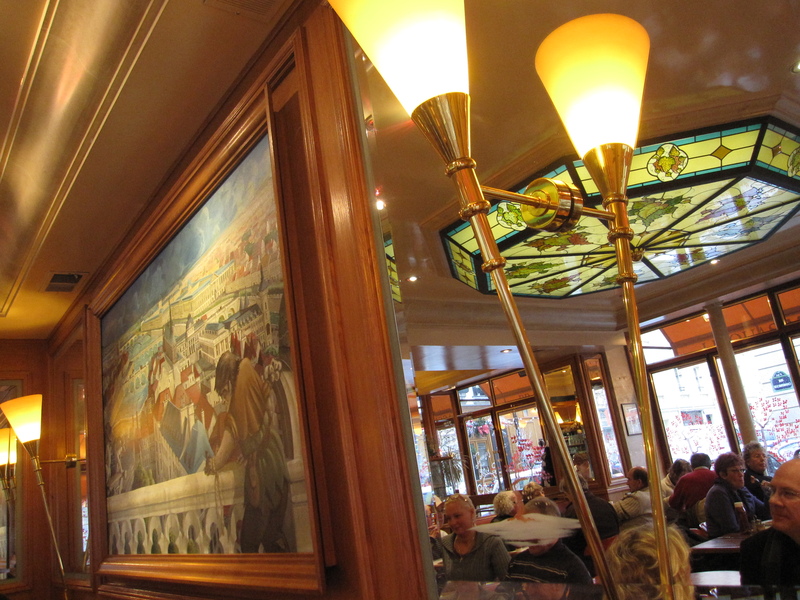 Service here is unparalleled to any other place we went to in paris! 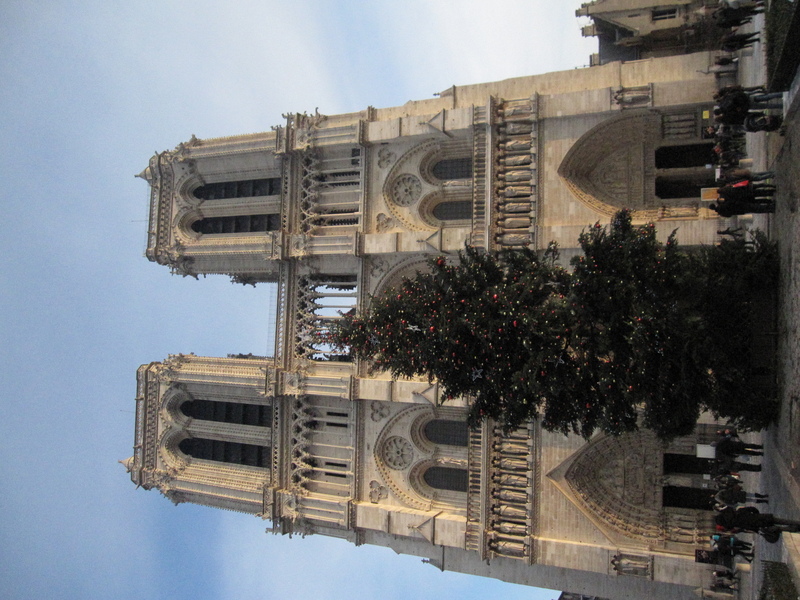 From there we strolled to the Notre Dame which was not a distance away. How on earth did they manage to carve such intricate structures in the past? 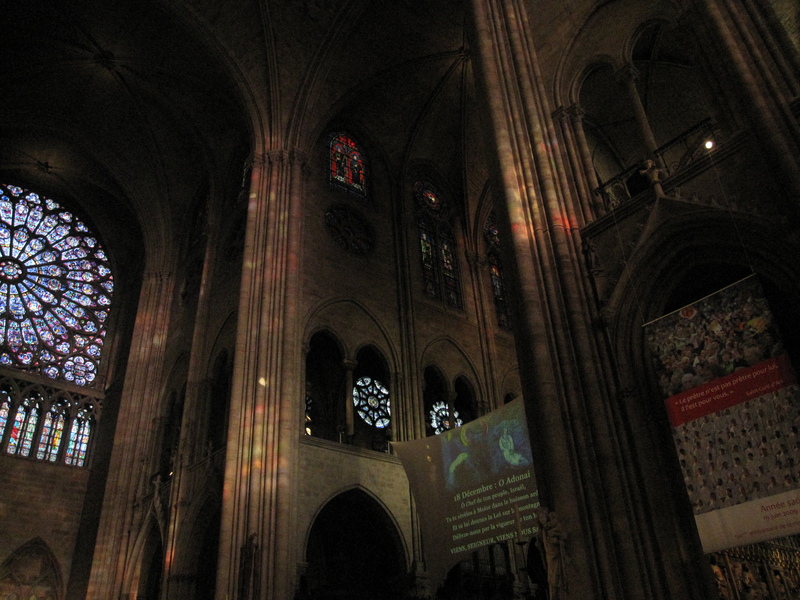 The Notre Dame is a gothic style cathedral with dark and dreary interiors. 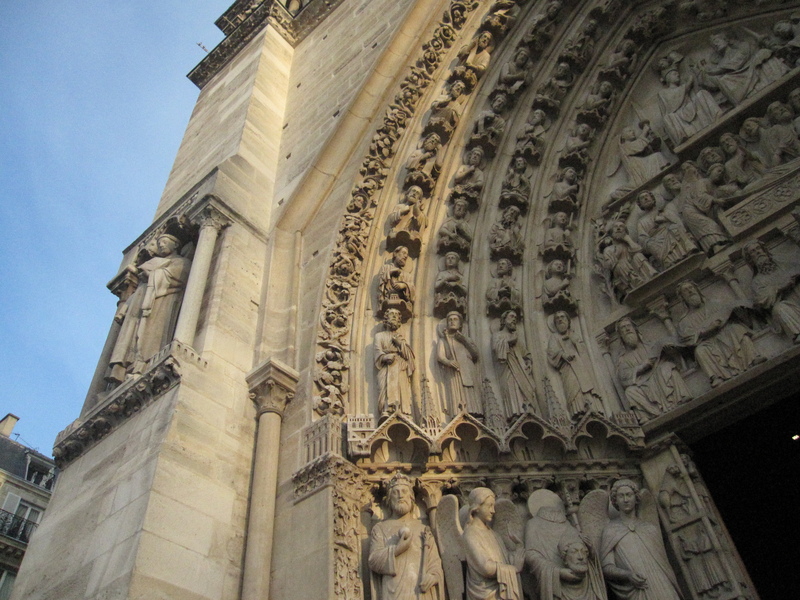 I don’t really fancy gothic style cathedrals, and this reminds me of the gothic style cathedral in milan. It’s actually a little frightening for me! you can actually go up to the top of one of the towers for free but I wasn’t aware of it. But we did manage to visit some exhibits inside of the inner rooms and the clothes of the bishops etc. I’m in Hong Kong now and this is a scheduled post (: Stay tuned for posts about hong kong! lovely, i love reading all these posts on overseas. waking up the wanderlust/travel bug in me though! haha!